The British Hen Welfare Trust has met with DEFRA and its equivalents in Scotland and Wales to discuss ways of improving communications and simplifying the flow of information given to poultry keepers by Government during periods of disease control, such as Avian Flu. 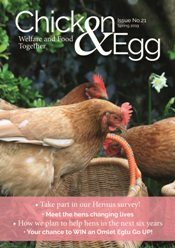 The national charity has previously worked closely with the NFU and egg industry stakeholders to produce husbandry guidance for poultry keepers, including those kept as pets and on smallholdings, and is now pleased to help Government parties ensure that all poultry keepers, large and small, have the knowledge they need to look after their poultry at all times. 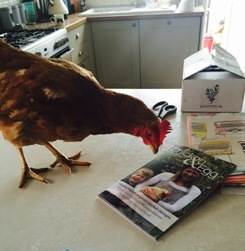 Jane Howorth MBE, founder of the charity, said: “We re-home 50,000 commercial hens annually, so there is clearly a need to ensure all poultry keepers are fully informed on both general flock management and what to do in a period of disease outbreak. Anything that improves the flow and quality of information given to poultry keepers has to be a good thing for both the commercial and hobby sectors. The charity is also collaborating with Government to revise the Great British Poultry Register with the aim to improve the number of poultry keepers signing up as well as several other initiatives all designed to ensure poultry keepers are given effective, simple and concise information.